This book argues that larger flaws in the global supply chain must first be addressed to change the way business is conducted to prevent factory owners from taking deadly risks to meet clients’ demands in the garment industry in Bangladesh. 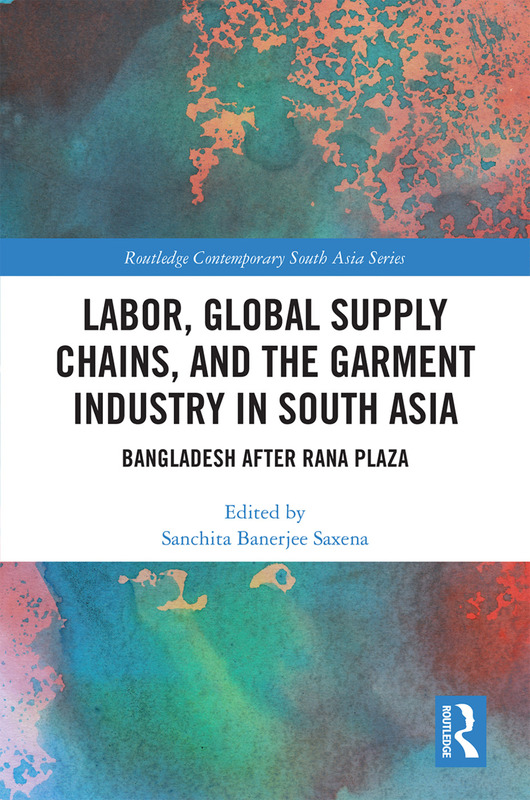 Using the 2013 Rana-Plaza disaster as a departure point, and to prevent such tragedies from occurring in the future, this book presents an interdisciplinary analysis to address the disaster which resulted in a radical change in the functioning of the garment industry. The chapters present innovative ways of thinking about solutions that go beyond third-party monitoring. They open up possibilities for a renewed engagement of international brands and buyers within the garment sector, a focus on direct worker empowerment using technology, the role of community-based movements, developing a model of change through enforceable contracts combined with workers movements and a more productive and influential role for both factory owners and the government. This book makes key interventions and rethinks the approaches that have been taken until now and proposes suggestions for the way forward. It engages with international brands, the private sector and civil society to strategize about the future of the industry and for those who depend on it for their livelihood. A much-needed review and evaluation of the many initiatives that have been set up in Bangladesh in the wake of Rana-Plaza, this book is a valuable addition to academics in the fields of Development Studies, Gender and Women’s Studies, Human Rights, Poverty and Practice, Political Science, Economics, Sociology, Anthropology, and South Asian Studies. Sanchita Banerjee Saxena is the Executive Director of the Institute for South Asia Studies and the Director of the Subir and Malini Chowdhury Center for Bangladesh Studies at the University of California, Berkeley, USA.